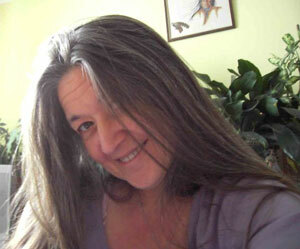 MUIRHEAD`S MYSTERIES: "AN UNUSUAL FREAK IS ON DISPLAY...." AND FOR ONCE THEY DON`T MEAN ME! 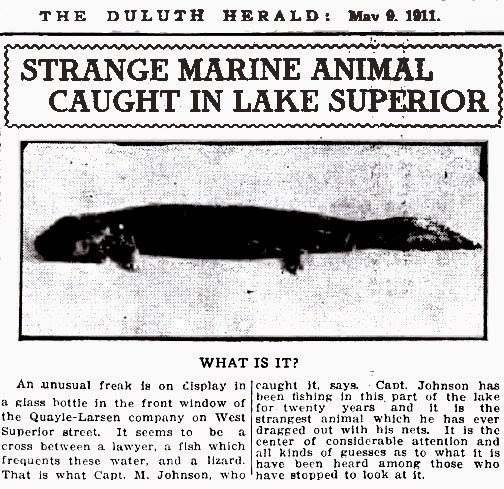 I expect this so-called freak is just a mud puppy or salamander, from a Duluth, U.S.A. paper in 1911, but who knows..? Is Bigfoot Lurking near Lake Tahoe? Rocky Mountain Sasquatch Organization: Bigfoot sighting on an unmarked trail between Cody Wyoming and East Yellowstone National Park. Unbelievable Bigfoot Footage, Possibly the best footage Ever! The team at The Erickson Project says that they have video and DNA proof that sasquatches really do exist. Is This a Shaggy Black Female Sasquatch? Patterson film…The Bigfoot stumbles in this clip and the private parts show to the camera. And so another week begins. Corinna is going to the vet with Helen and her new puppy this afternoon, and I have an eminently energetic afternoon of dozing and doing damn all planned. I shall do something constructive later on, but I feel the need for a siesta. Ha! Hawkwind, Pink Fairies and Kate Bush Fans, and students of the British Underground had better look out! The latest issue of Gonzo Weekly (#93) is available to read at www.gonzoweekly.com, and to download at http://www.gonzoweekly.com/pdf/. It has the lovely Jaki Windmill, the chanteuse of The Pink Fairies, (and all sorts of other things) on the cover. Hawkwind fans should check out the news of a charity auction of Bob Calvert memorabilia, and Doug Harr was there in the audience when Kate Bush played live on Friday evening. Dean Phillips revisits the events of 40 years ago when Wally Hope and the other Wallies of Wiltshire appeared in the High Court, with an amazing collection of pictures and clippings from the time, nearly all of which I had never seen before. There are also new shows from the wonderfully eccentric Jaki and Tim on their Submarine, from the multi-talented Neil Nixon at Strange Fruit and from M Destiny at Friday Night Progressive. 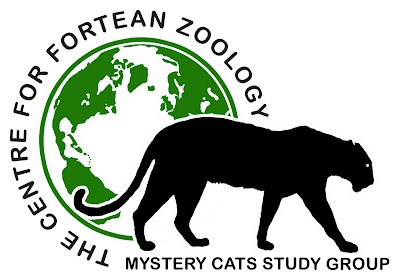 There is also a collection of more news, reviews, views, interviews and ursine tree kangaroos (OK, no weird arboreal marsupials from New Guinea, but I got carried away with things that rhymed with OOOOS) than you can shake a stick at. And the best part is IT's ABSOLUTELY FREE!!! A court challenge by the Badger Trust to overrule the government's decision to continue the pilot culls without independent supervision has been rejected. For despite the IEP finding that the first year of the pilot culls failed (by a significant margin) to achieve appropriate standards of both effectiveness and humaneness, the Secretary of State has decided to continue the pilot culls without an independent body overseeing it to ensure such standards can actually be met. Dominic Dyer, CEO of Badger Trust, said: “The Trust is considering its options in respect of an appeal against the Court’s decision. However, this judgment does not detract from the serious public concerns over the continuation of the cull, including the most recent leaks regarding potentially unlawful and unsafe activity undertaken by culling contractors during the 2013 culls. "Given the indisputable failure of the 2013 culls, the still unresolved issues regarding safety and the significant uncertainty over the numbers of badgers to be killed in 2014, the only sensible option for the Secretary of State is to call a halt to these pilots, and the potentially unnecessary and inhumane deaths of hundreds of badgers." Badger culling has been given the go-ahead by the government to resume in Gloucestershire and Somerset. ON THIS DAY IN 1972 - David Bowie released "John, I'm only Dancing" in the U.K. The song was not released in the U.S. until 1976.